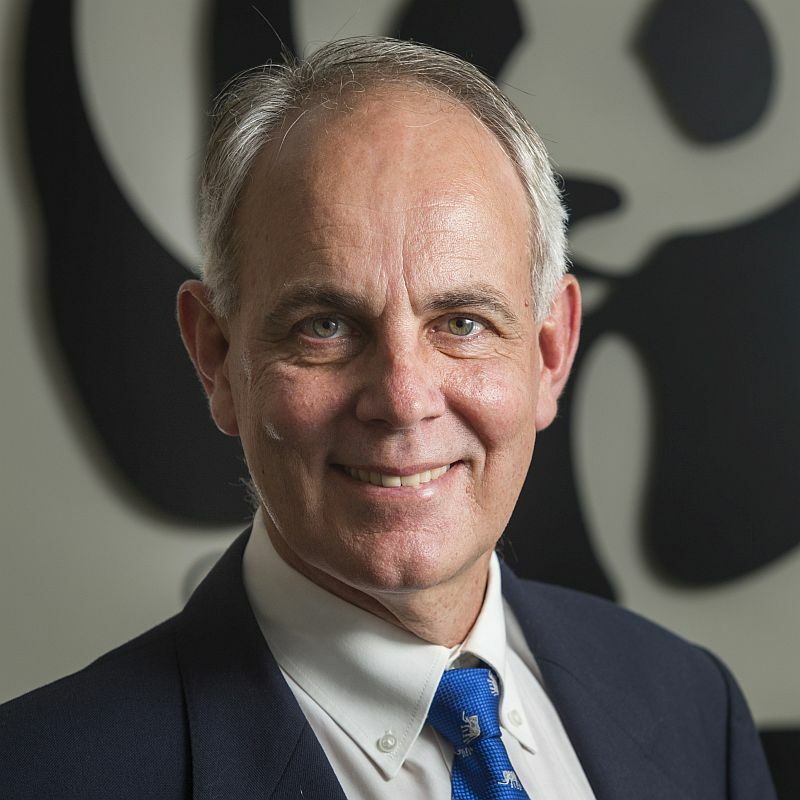 Dr Morné du Plessis has been the Chief Executive Officer of WWF South Africa since 2007. His impressive list of academic achievements include a Bachelor of Science in Agriculture from Stellenbosch University; a Bachelor of Science with Honours from the University of Pretoria; a PhD from the University of Cape Town; post-doctoral research at Berkeley in the US and a Master of Business Administration from the University of Cape Town. Dr du Plessis was previously director of the DST/NRF Centre of Excellence at the University of Cape Town and was also director of the Percy FitzPatrick Institute at the university. He served as the assistant director at the former Natal Parks Board. He was also a post-doctoral research associate at the University of California, Berkeley. He has been part of several services and boards including the The WWF Nedbank Green Trust, The Leslie Hill Succulent Karoo Trust, The National Parks Trust of South Africa, The Table Mountain Fund, the Stellenbosch Institute for Advanced Studies and Mammal Research Institute at the University of Pretoria. Throughout his tenure, Dr du Plessis has served on a large number of committees and boards of conservation NGOs, government funding allocation committees and academic institutions, authored or co-authored over 50 scientific publications in the fields of conservation biology and behavioural ecology and published two books, earning the National Research Foundation’s President’s Award. In 2000, he was listed among the Mail & Guardian’s “Most Promising 100 Young South Africans in the New Millennium”.